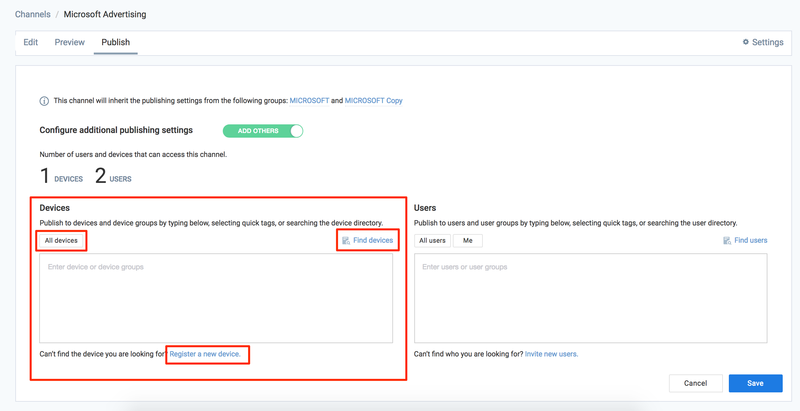 This article provides information on configuring the publishing option for channels, allowing users to browse channels on Appspace App. You can publish a channel to everyone, specific users, a private group, all devices, or specific devices. Pre-existing channels, or channel playlist. 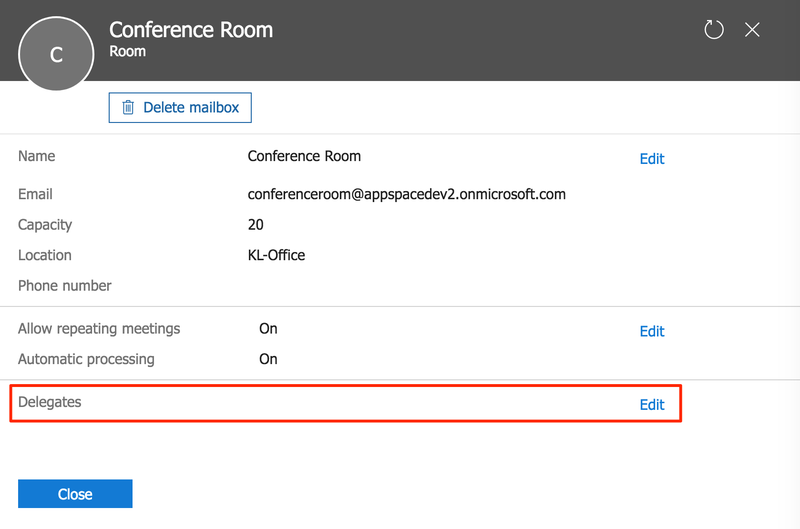 Select Channels from the Appspace menu or the navigation bar on the left, and select the Channels tab. Select a channel that was created previously. In the channel Edit tab, ensure you have added and configured all your desired content. Click the Settings tab to configure publishing permissions for this channel. Publisher: A publisher will have full read, write, and delete access to this channel. A user with publisher access can change, edit content, and update settings for this channel. Some users are automatically added as a publisher when they inherit the full access from the account, network, or user group. Clicking on the user that was automatically added, will provide more information on the inheritance. Editors: An editor can only edit and manage the content in this channel, based on the approval rules applied to the channel in the Approvals tab (below). In the Approvals tab, select the actions that require approval from the publisher of this channel. These approval rules are then applied to a channel editor. Select the Publish tab, and click the “No” slider to turn on the YES option. If you select the NO option, the channel will not be published. However, a Network Administrator may still assign devices to play this channel. 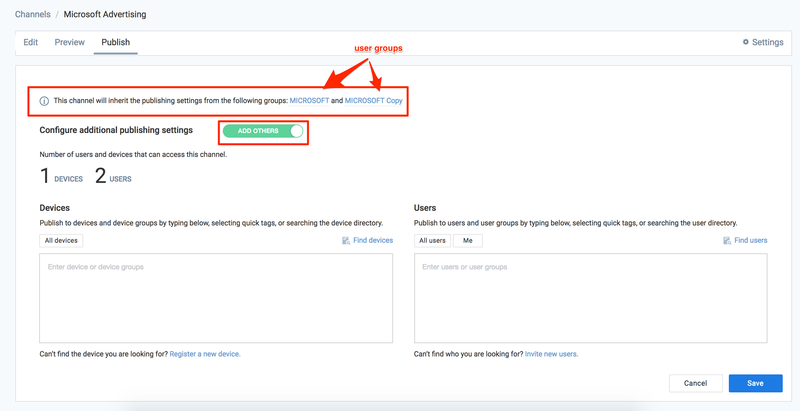 If you belong to any user group(s), the channel will automatically inherit the publishing settings from the user group(s). However, you can still assign additional users or devices. Click the slider to turn on additional publishing settings. Determine the Devices that can access this channel. Click the All devices button, or click Find devices and select the desired devices. You can also choose to register a new device from here and select it afterwards. Determine the Users that can access this channel. Click the All users or Me button, or click Find users and select the desired user(s). You can also choose to invite a new user from here and select it afterwards. Click Save to publish this channel.